As a working mother of two young children, I don’t get out very often. So, when I got an invite to this year’s RoNA awards, I jumped at the chance. What do you mean you’ve never heard of the RoNAs? Actually, neither had I until the invite came through. It’s the body representing writers, agents, editors and publishers of romantic fiction. Romantic novelists, and others in the romantic fiction industry, are lovely people. The RoNA throws one heck of a good party. So, what was I, a dark crime writer, doing at such a fluffy, pink gathering? Well, earlier this year I was lucky enough to be shortlisted for the 2012 Harry Bowling Prize. This prize, for new writing, was set up in memory of the popular east London writer, Harry Bowling. The prize is sponsored by Harry’s agent (MBA) and publisher (Headline), in association with the RoNA. The winner of the prize is announced at the RoNA awards ceremony in London. Along with the other shortlisted authors (five of us in total), I was invited to come along to MBA offices prior to the event, where we could meet the people behind the prize, including Harry’s daughter, Sally. I arrived at MBA offices to find a party in full swing. I had a lovely time meeting members of the MBA team, people from Headline and the other shortlisted writers. I was thrilled when Laura Longrigg from MBA told me she was very familiar with the area my novel is set in, as she lives just down the road from there. I love coincidences and this one would have done me nicely for the day. However, it was quickly overtaken when I was introduced to Harry’s daughter Sally – who only turned out to be my children’s swimming teacher. It goes to show, even in a city the size of London, just how small the world can be sometimes. After a very pleasant afternoon at MBA, we whisked ourselves across London to the salubrious venue for the awards, One Whitehall Place – a neo-gothic delight near the Thames Embankment. We were greeted with glasses of pink champagne (the quickest way to win this girl’s heart) before getting our photos taken. After more chatter (and some more pink fizz), we all went into another room for the awards ceremony. The awards, presented with some panache by authors Peter James and Jane Wenham-Jones, was a glitzy affair. Much of it passed me by in a haze of applause and pink fizz. I didn’t win anything but, as the afternoon progressed, that hardly mattered. It was a great excuse to dress up, meet some lovely people, and spend an afternoon celebrating some great writing. Huge congratulations, of course, to all the winners announced at the event, most especially Natalie Lloyd-Evans, winner of the 2012 Harry Bowling Prize for her novel, A Dark Flowering. 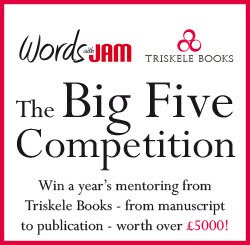 If you’re an aspiring writer, I’d really recommend entering this competition. 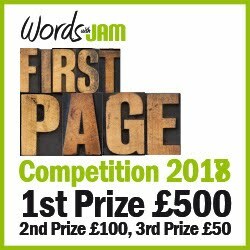 It’s run by some lovely people and is a great chance to showcase your work with a top agent and publisher. And, if you make it as far as the shortlist, you’ll have a fabulous day out.